Photo from Ebony magazine. Taken during the April 1969 Harkness Hall incident at the Atlanta University Center. My family background is activism. I am the fifth generation working for Black liberation. My great-great-grandfather Free Frank McWorter purchased 16 family members out of slavery and turned his farm into a station on the Underground Railroad. For details see this book by my cousin, or the local history group, the family, the University of Illinois, and the University of Maryland. 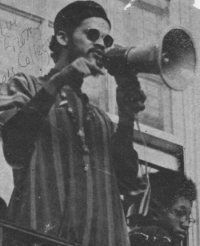 My past practice includes the full spectrum from Civil Rights to Black liberation to the anti-capitalist struggle. One focus of my work has been Malcolm X. My current focus is on a campaign to rebuild the Black liberation movement as part of the Black Left Unity Committee. 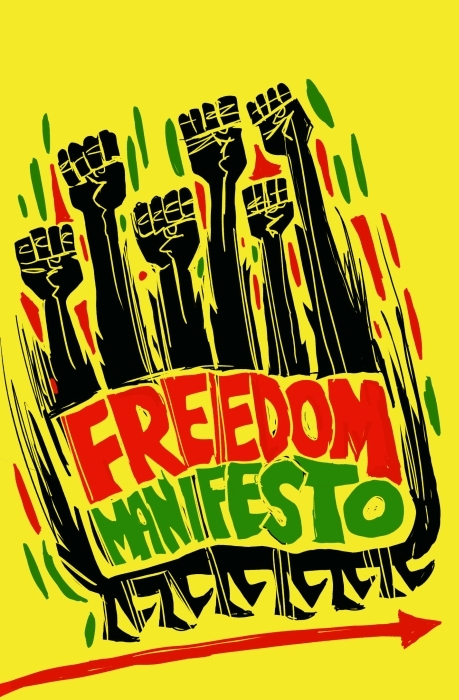 In this context I co-authored and edited the following: Draft Freedom Manifesto, Towards Black Liberation, Three Waves, and a weekly Bulletin. All my work is part of a collective process, sometimes but not always acknowledged in a shared byline. To all my partners, thank you. Send email to be notified of new topics and content.